SAN RAMON, CA--(Marketwired - Mar 18, 2014) - The March 10K Savings Event is a great opportunity to purchase on select homes at William Lyon Homes' Villages and Vineyard neighborhoods at Vista Del Mar in Pittsburg and Oak Crest at Hidden Glen in Antioch. Buy one of the Featured Homes by March 31st, 2014 and you will receive a $10,000 incentive*. Don't wait and visit the respective sales galleries, where hours are from 10 a.m. to 6 p.m. daily to meet with a sales counselor for all of the exciting details. This special offer ends soon, so run, don't walk for incredible savings! "The select homes available for purchase during the March 10K Savings Event include beautiful upgrades and some are move-in ready. If you want a $10,000 incentive on a brand new home in a location that suits your lifestyle, now is the time to buy at Villages, Vineyard and Oak Crest," explained Kathy Floyd, Director of Sales for William Lyon Homes. The Villages at Vista Del Mar is the lowest-priced new home neighborhood in Pittsburg and a terrific value. The Residence 3C, Lot #81 is priced at $405,935 and features 3 bedrooms, 2.5 baths and a loft in approximately 1,945 square feet. Highlights include upgraded cherry stained cabinets, custom interior paint and stainless steel appliances. 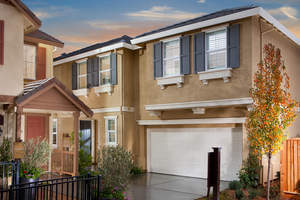 For more information, visit www.lyonvillages.com or call 925-261-9373. 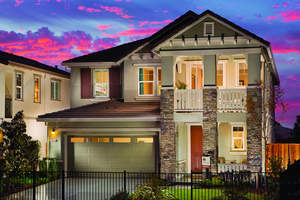 Vineyard's elegant craftsmanship and commuter-friendly location near BART and Highway 4 continue to attract homebuyers. The Residence 1A (Bordeaux), Lot #70 is priced at $495,370. This 2,531 square-foot home offers a desirable cul-de-sac location and features 5 bedrooms and 3 baths, including a downstairs bedroom with full bath. Elegant appointments include upgraded cabinets, granite slab kitchen countertops and stainless steel appliances. Buyers who act quickly still have time to select flooring. 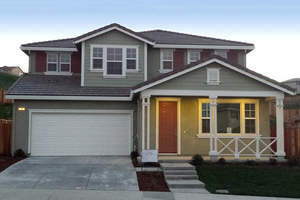 For more information, visit www.lyonhomes.com/vineyard or call 925-261-0983. Oak Crest offers a desirable, tranquil location amidst rolling hillsides. The Residence 5A, Lot #55 features approximately 2,763 square feet, with 5 bedrooms and 3 baths, including a downstairs bedroom with full bath. Contemporary interiors have upgraded laminate flooring, granite countertops and white cabinets. This brand new family home is priced at $448,806. For more information, visit www.lyonoakcrest.com or call 925-777-9955. *Special pricing varies per homesite. Buyer must purchase by March 31, 2014 to qualify for this promotion. See Sales Counselors for details and restrictions.